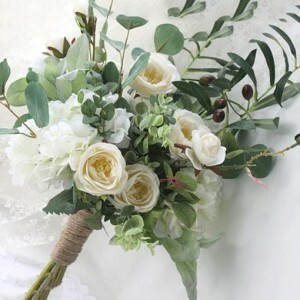 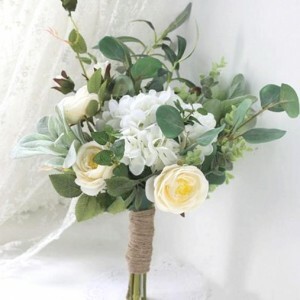 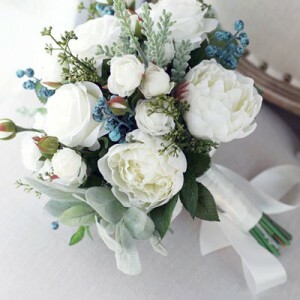 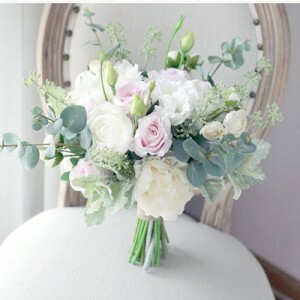 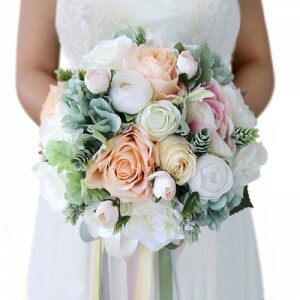 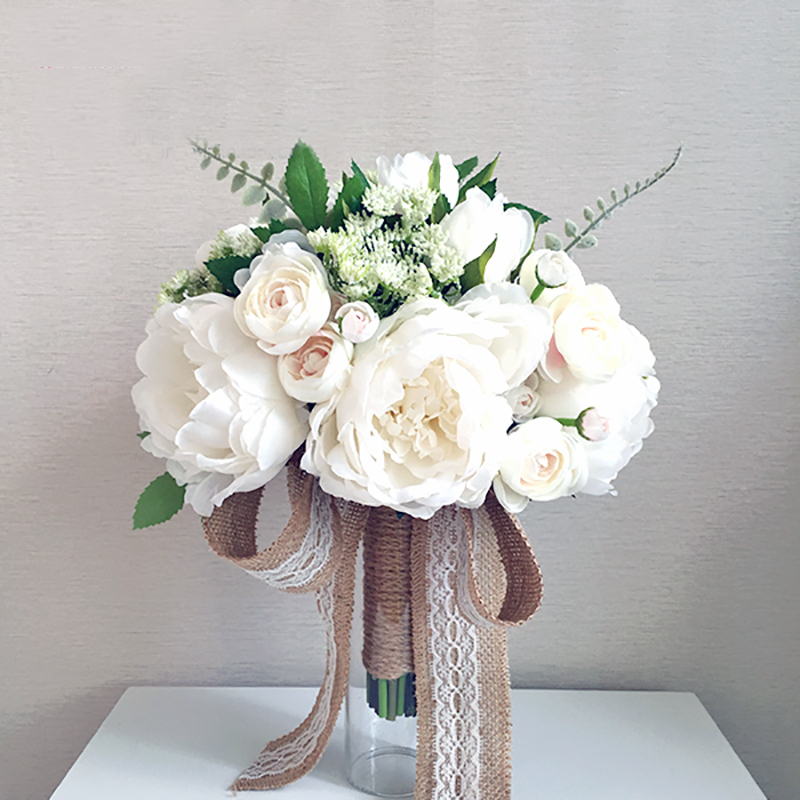 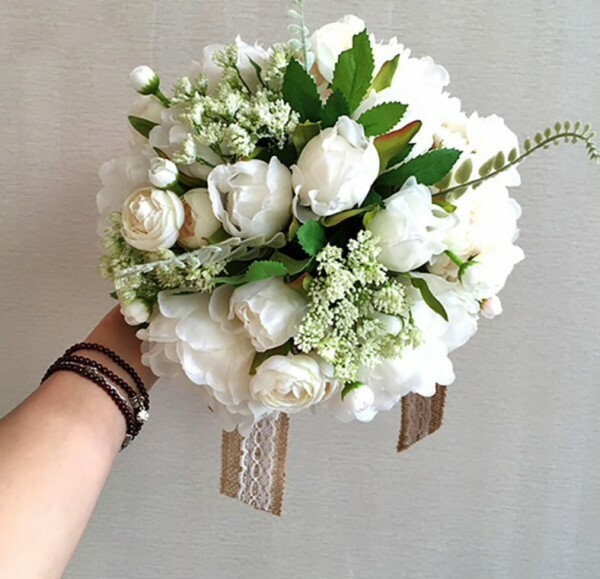 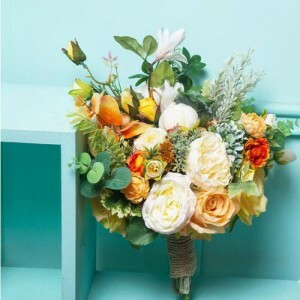 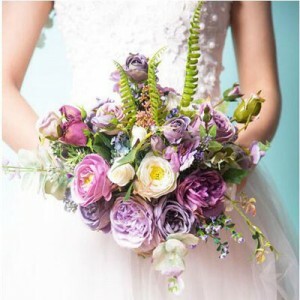 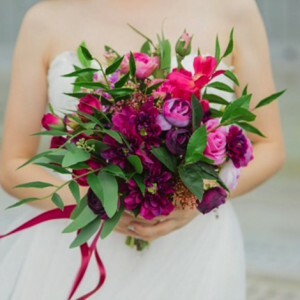 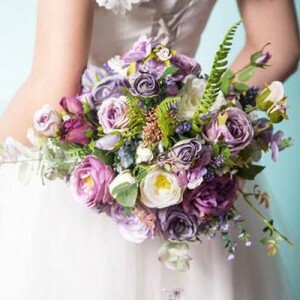 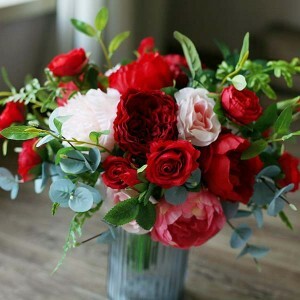 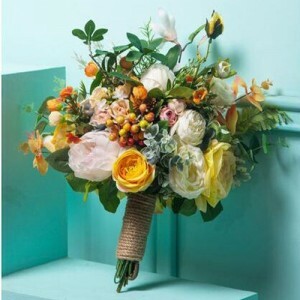 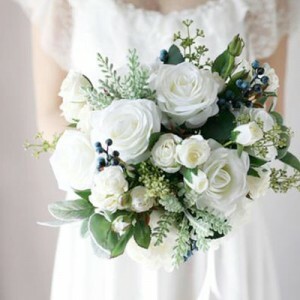 A pretty flower bouquet including silk ivory peonies and roses with complimenting greenery. 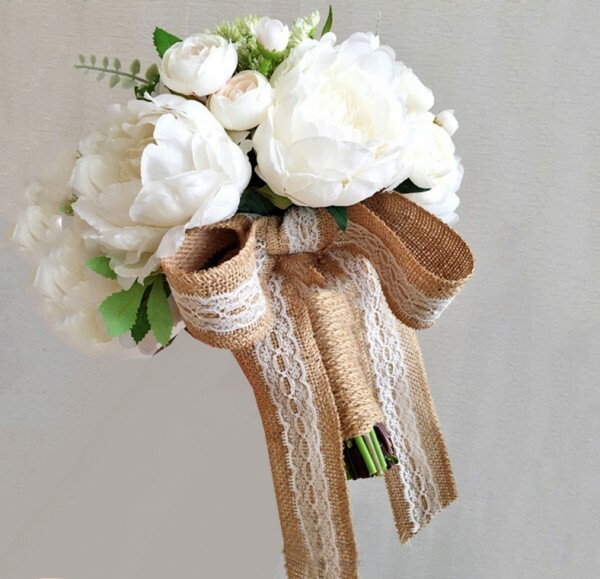 With a rustic jute and lace ribbon. 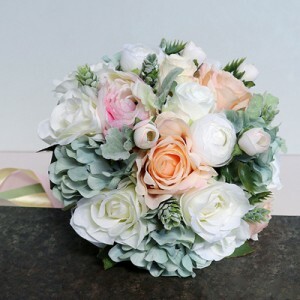 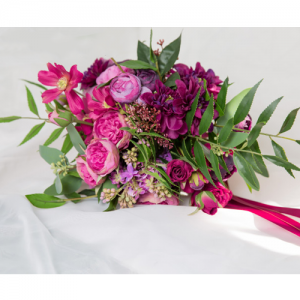 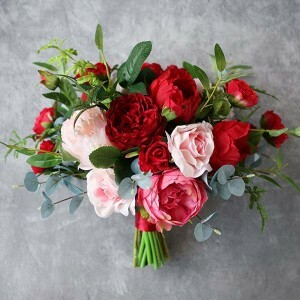 This bouquet measures approx 20cm wide, 25cm high. 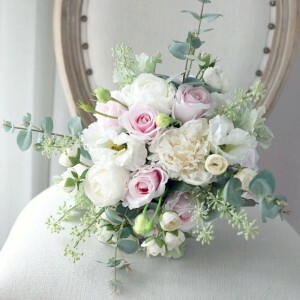 The design is not customisable, for a custom bouquet design please see here.